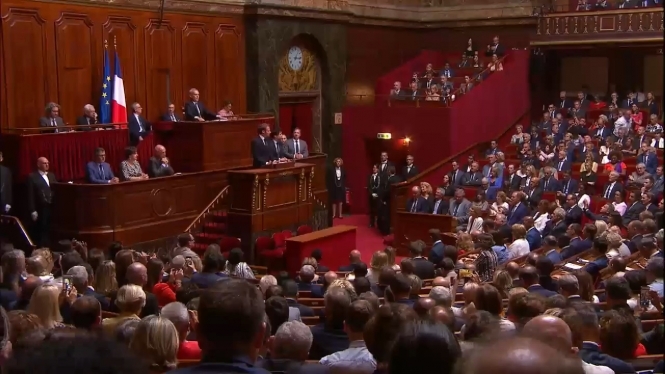 President Emmanuel Macron has defended his plans for his presidency - focusing especially on business and welfare - in an address to 900 MPs and Senators at the Palace of Versailles this week. Mr Macron, who came to power one year ago but has seen his popularity plummet, defended his actions in the first year of his presidency in his annual “state of the nation”-style address. Over 90 minutes, he spoke of the importance of being “humble but determined” in his role, and denied claims that he is “the president of the rich”. The President recently came in for criticism for complaining that the French welfare system spent “crazy money”, and has made no secret of his plans to reform the process. He said that he planned to push ahead with his reforms, in a bid to boost the economy and streamline the welfare state, which, he claimed, would benefit everyone, not just wealth managers in “Switzerland, Luxembourg and the Cayman Islands”. He admitted: “I know I have not succeeded in everything”, but defended his economic plans, saying that there must be economic progress to allow social progress. He also vowed to help the one in five children in France who still live in poverty, with his "poverty plan" set to be presented by September this year. Mr Macron also denied that his changes would have negative impacts on pensioners and the poorest in society, prompting some jeering from the chamber. 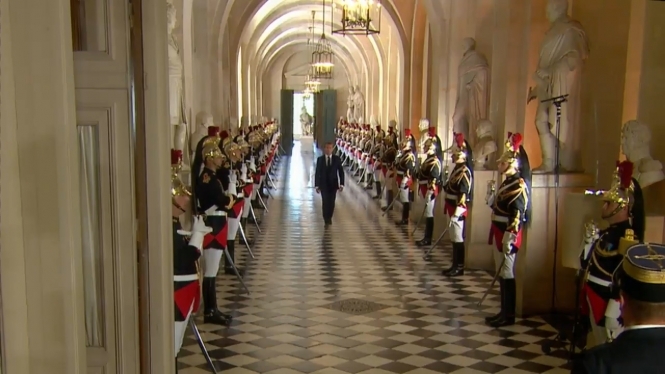 Some questioned Mr Macron’s claims of “humility”, as he spoke in the opulent surroundings of Versailles, at a rumoured cost of over €280,000 per day, and critics accused the President of "condescending to the French people" by refusing to "budge one centimetre" in his reforms. Opposition MPs from party La France Insoumise also boycotted the event, with leader Jean-Luc Mélenchon heavily criticising the speech on Twitter. The President’s approval ratings have dropped significantly since he took office, with a recent survey suggesting that over two thirds of French people do not think his policies are fair or effective. Mr Macron has also faced criticism in recent months after reports emerged that he planned to build a new swimming pool at official holiday residence the Fort de Brégançon, and for his choice to publicly rebuke a teenager for calling him “Manu” instead of “Monsieur Le President”.